Individual! Inspiring! Innovative! – that is the brand image conveyed by Inhorgenta Munich. On the four days of the trade show, which will take place from 18 to 21 February 2017, there will once again be the opportunity to gather and exchange information about new products, trends and developments in the jewellery and watch industry. In spite of Brexit and other trouble spots in the world, the number of bookings received so far considerably exceeds that of the same period of the previous year, namely by 15 percent. 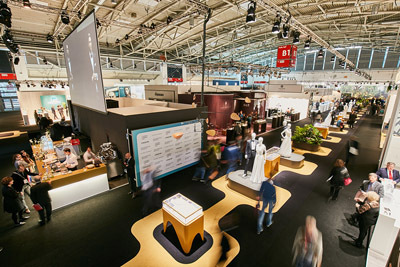 perceived as a four-day trade show but as a driving force for the entire industry – on 365 days a year”, states Stefanie Mändlein.